Combine the first four spices in a small bowl. At least 20 minutes before cooking, take the steak out of the fridge and rub in the spice mixture all over the outside of the steak. Go ahead the pour the white wine into a small bowl and put it close to the stove. Combine the next 5 ingredients in another bowl and have that ready near the stove as well. Deglaze the pan with the white wine. 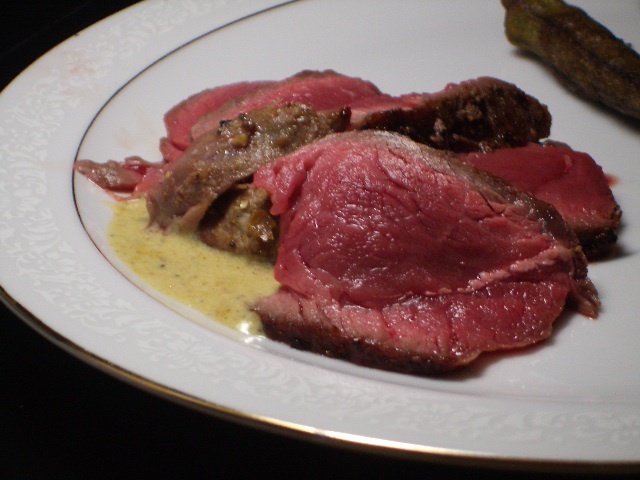 (Pour the wine into the skillet, and use a wooden spoon to scrape up all the goodness that the beef left behind). After about a minute, add the rest of the sauce ingredients. Cook this down for about 5 minutes over the same medium high setting. Once it begins to thicken and reduce, you can reduce the heat while you wait for the steak. This extra cooking time over low should help further develop the flavors in the sauce, just watch it carefully so that it doesn’t get dried out. Once the meat is done, let it rest for at least 5 minutes, if not 10. 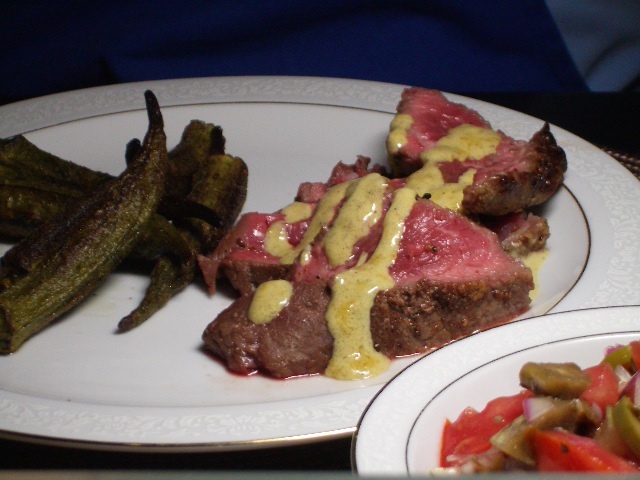 Slice the steak into strips and then drizzle with the mustard cream sauce. ENJOY!